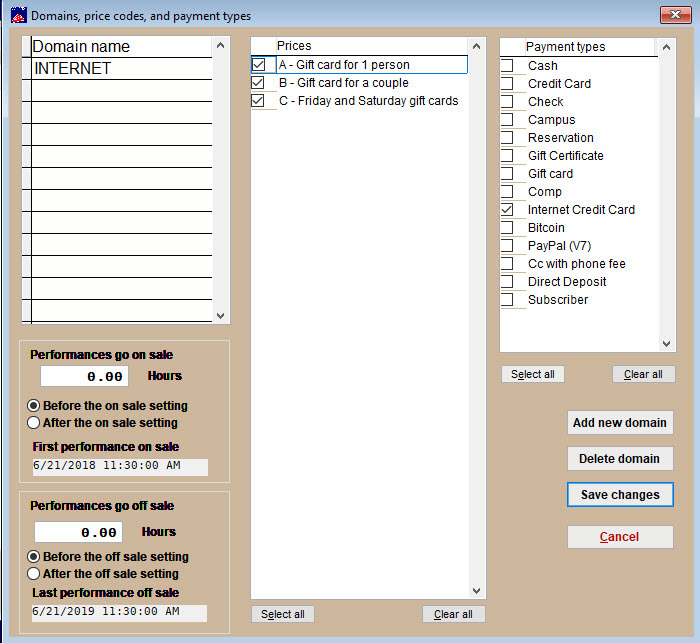 Click here for instructions on how to sell gift certificates in Wintix 6. In essence, a gift certificate is like a season package flex-pass. Go to Show | Utilities | Add a season package. This is where you will enter all the pertinent information about your gift certificate. 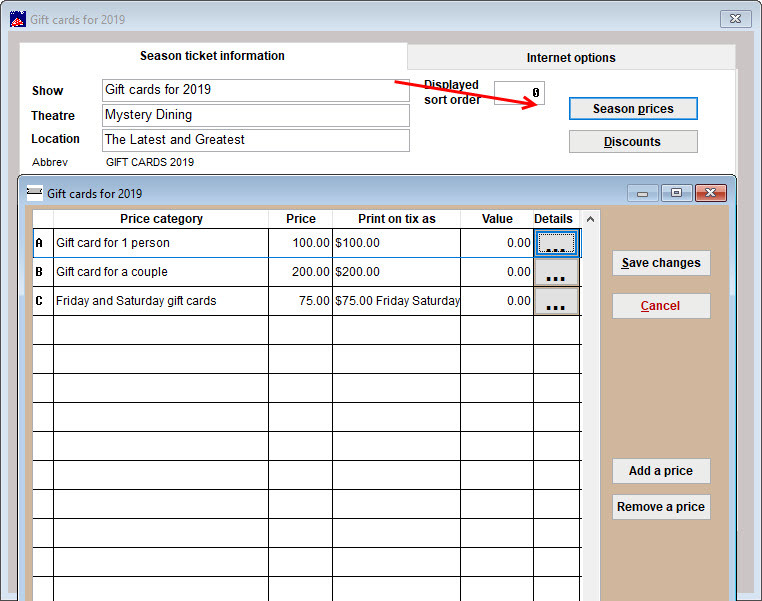 Click on the Season prices button and add the gift certificate prices and price categories. 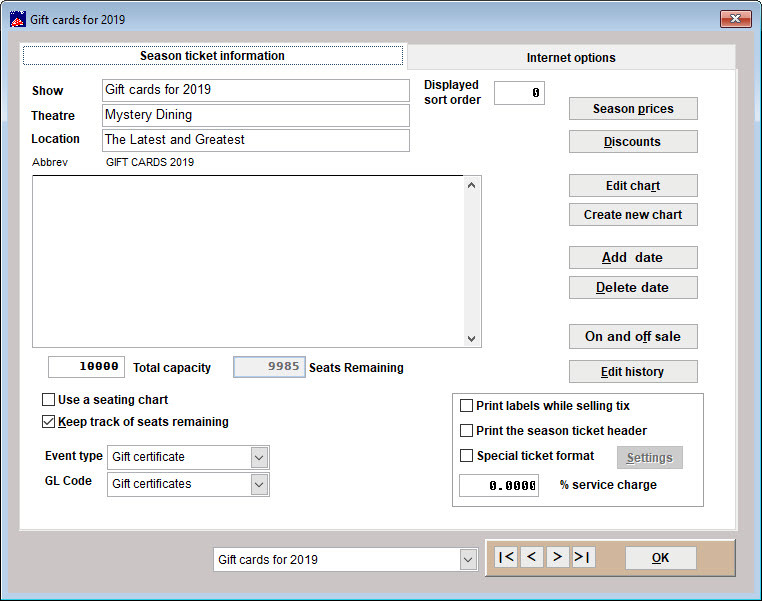 You won’t need to use seating plans and charts, but you may wish to set an On and off sale date, if the certificate for only a special time. 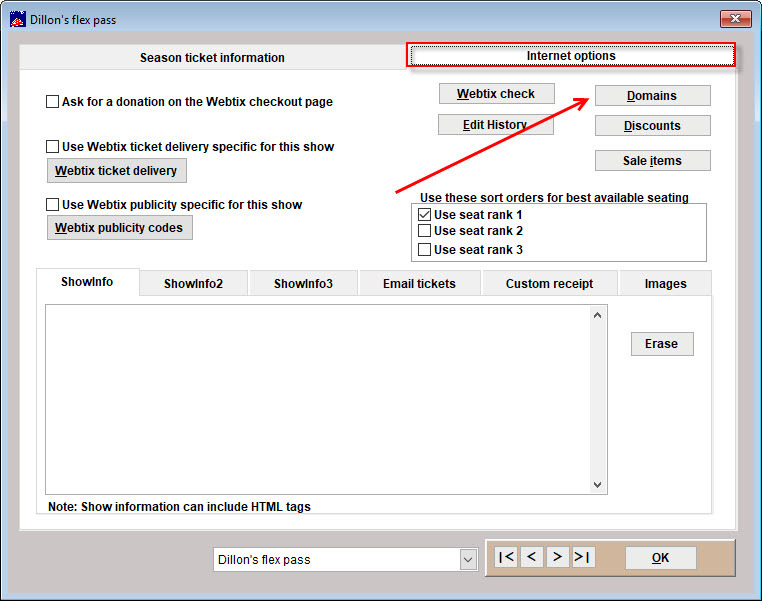 In Domains, price codes and payment types, you need to enter the domain Internet for Webtix sales, and check the price codes you wish to sell online and the payment type you are allowing Webtix to have.